Complementing the aspiration to challenge the notion of wearables with detailed craftsmanship, we embrace all things experimental and unexpected. Since late 2016, KLACE accessories embodies the essence of hand-crafting, utilizing familiar materials to create new forms. We hope to provide you a unique piece of fun, an expression for your personality and to tease life a little. KLACE is an accessory brand based in Singapore, created to challenge the notion of wearables and to celebrate the art of craftsmanship. We remind ourselves to be inquisitive and playful - to ask silly questions and always getting our hands dirty. As natural makers & inventors, all of us are creative at heart. Though we were taught to do things a certain way all the time, we let loose of ourselves here. Make a mess, turn it upside down. "There is no right way of doing something." At KLACE, we re-discover that inner child in us. We are set out to not only create products that are fun, but also make an impact in our community. In partnership with Daughters of Tomorrow, our crafting team is made up of a group of empowering women, who seek opportunities to better provide for their families even under unfavourable circumstances. Hence, the nature of using handcrafting techniques and basic tools, is by means of providing fair and sustainable work for them. Every product sold contributes to the journey of these ladies in attaining essential skillsets to gain financial stability and creative confidence. 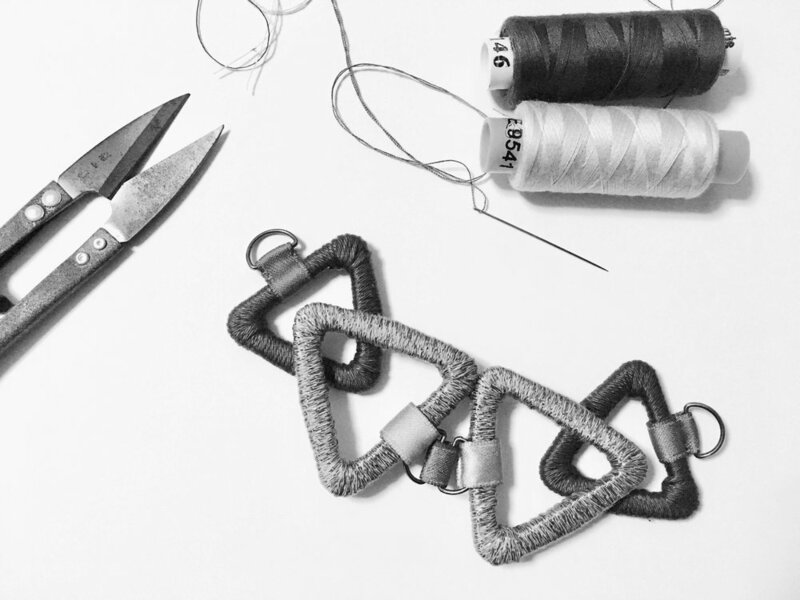 Each part of the accessory is intricately constructed by our crafters, transforming materials we are once familiar with into eccentric wearables. Think bag buckles in different shapes and sizes, crochet yarns in a wide array of colours and geometric hardware, all bound harmoniously with the simplest tools, nimble fingers and some imagination. Working with such diverse materials requires understanding their individual traits by trial and error, to experiment what will work and what will not. Hence, each piece has undergone numerous revisions, in terms of construction and colour combinations, before it reaches its final look. Taking pride in ensuring consistent quality of our accessories, we do take the extra effort to uphold the essence of craftsmanship. KLACE featured interview on Channel 8’s web news.